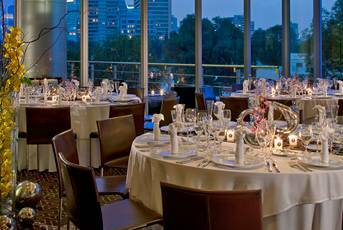 La Terraza Rooftop Restaurant, 7th floor, Hotel Majestic Best Western, 73 Avenida Madero, Colonia Centro, Mexico City 06000. +52 55 5521 8600. Rooftop overlooking the Zócalo. 7am-11.30pm. Sky Club Disco, 46th floor, World Trade Center México, 1 Avenida de las Naciones, (Nápoles), México City, Mexico 03810. +525 488 0700. El Cielo de Cortes Lounge Terrace-bar, Hotel de Cortes, 85 Av. Hidalgo, esq. Paseo de la Reforma, Centro Historico, México City, Mexico 06300. +52 55 551 8181. 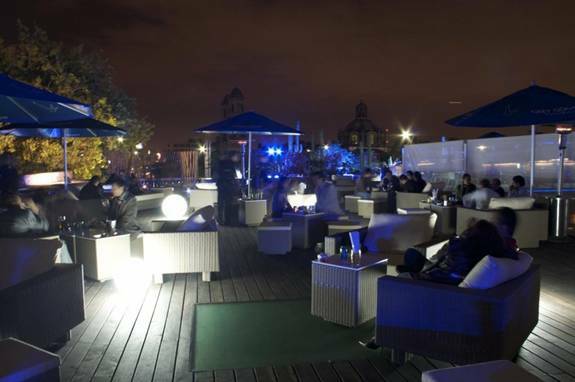 Rooftop bar offers a contemporary setting with trendy lounge sofas and tasty fare, not to mention the panoramic views of Alameda Central Park, iconic buildings and legendary churches. Terraza, 3rd floor, La Casa de Las Sirenas, 32 Guatemala, Col. Centro, Mexico City. +52 55 5704 3225. View of Zocalo (town square), the Catedral, and Templo Mayor. This venue is located right behind Mexico City's impressive Metropolitan Cathedral. The restaurant is located on the rooftop of an historic house. La Terraza del Centro Rooftop Restaurant, Centro Cultural de Espanain, Spanish Cultural Center, 18 República de Guatemala, Centro Histórico, México City 06000. +52 52 5521 1925. Breathtaking views. El Bar Mata Rooftop Bar, 11 Filomeno Mata, Centro Historico, Distrito Fed., Mexico 06000. +52 55 5518 0237. This rooftop bar is located on top of a five-story colonial building. Open most nights until at least 1am. Hostel Cathedral, 4 República de Guatemala, Colonia Centro, Distrito Fed. Ciudad de México. 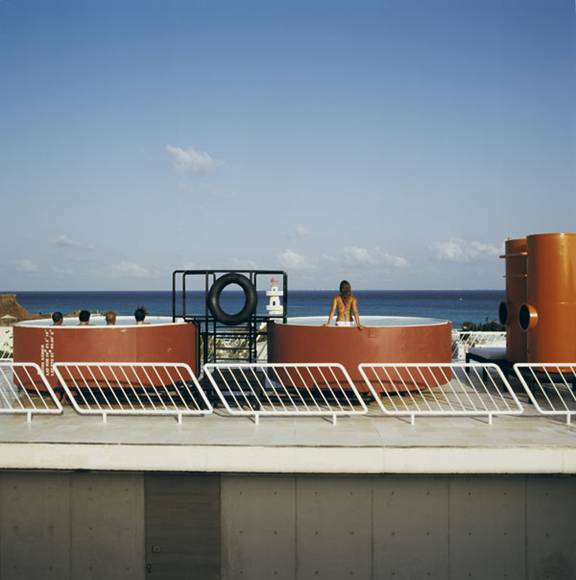 Rooftop bar is filled nightly with hostel guests as well as visitors. Restaurante-Bar Balcon del Zócalo, 6th floor, 61 Ave. Cinco de Mayo, Col. Centro, Mexico City, Mexico 06000. +52 55 5130 5130. On the corner of 5 de Mayo, the Terrace with an amazing view of the Main Square. Breakfast, Lunch and Dinner. Restaurante Bar Terraza, 5th floor, Gran Hotel Ciudad de Mexico, 82 Ave 16 de Septiembre, Esquina Plaza de la Costitución, Col. Centro Histórico, Mexico City 06000. +52 55 1083 7700. Enjoy the most spectacular view of the Zocalo of Mexico City. Continuous Buffet. Weekend Brunch 9am-6pm. Tori Tori Restaurant, 71 Anatole France (Emilio Castelar), Loc. A y B, Mexico City 06500. +52 80 9069. Patio has the best seating and provides a lovely view of the park. Japanese. Lunch daily. Dinner Mon to Sat. Hotel del Angel Bar, 11th floor, Hotel del Ángel, 154 Río Lerma, Mexico City. +52 5 533 1032 View the Independence Monument. Blue Sunset Rooftop Bar, Malecón y 4 Almendro, Puerto Vallarta, Mexico. Gay bar on top of the Blue Chairs Beach Resort, with a spectacular view on the bay. Daily. 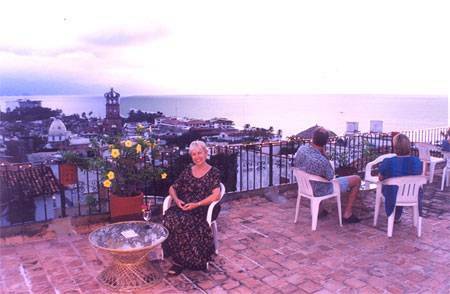 El Nido Rooftop Bar, Cuatro Vientos Hotel, Matamoros 520, Puerto Vallarta, Jal. Mexico. El Nido has a panoramic vista of the magnificent Bay of Banderas. Insu Sky Bar and Pool Lounge, Blvd. Nuevo Vallarta y 53 Paseo de los Cocoteros, Nuevo Vallarta, Mexico 63732. 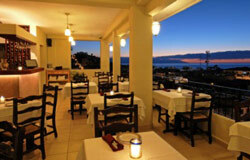 +52 322 226 8200 Take the elevator and enjoy the beautiful breeze as you look out over the Bay of Banderas. At night it becomes a cocktail lounge. Sky Bar, Moon Palace Golf & Spa Resort, Carretera Cancun-Chetumal Km. 340, Cancun, Quintana Roo, CP. Mexico 77500. ? 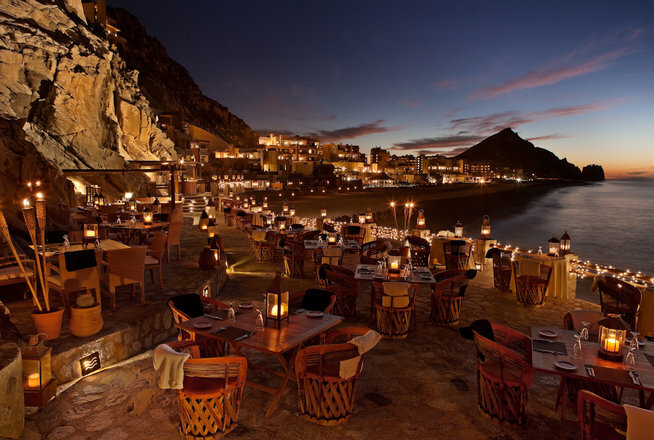 Restaurant Bar, Cabo Villas Beach Resort, Callejon del Pescador s/n, Colonia El Medano, Cabo San Lucas, Baja California Sur 23450. +52 624 143 9166 Breakfast buffet is available from 8am–11am. Lunch, dinner and snacks are served 11am–10pm. De Cortez Grill and Restaurant, Sheraton Hacienda del Mar Golf & Spa Resort, Corredor Turistico KM 10, Lote D, Cabo Del Sol Los Cabos, Baja California Sur, Mexico 23410. +52 624 14 58000 5pm-10.30pm. Reina Rojo Hotel, 20 Street between Av. 5 & 10, Playa Del Carmen, Mexico. +52 984 877 3800 Rooftop. 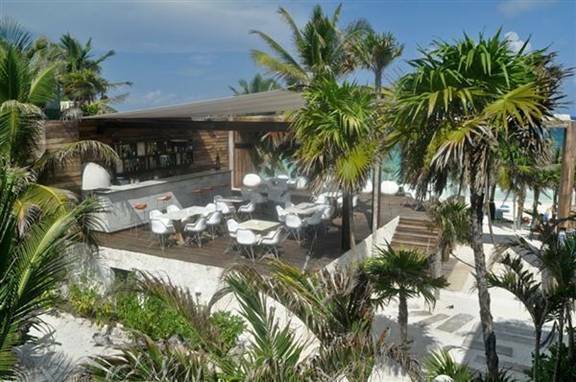 Rooftop Terrace Restaurant/Lounge, La Azotea Hotel, corner of 5th Ave esq, and 8th Street col. centro, Playa del Carmen, Mexico 77710. Opposite La Parilla.